The world at large has lauded Bruce Jenner for his bravery after coming out as transgender, and his family has been particularly vocal about their support for the former Olympian. However, there is one person whose voice we haven't heard very much from — Bruce's third wife, Kris Jenner. Kris, who built a reality show and later an empire on her willingness to be candid about her family life, has stayed mostly mum about Bruce's gender transition. 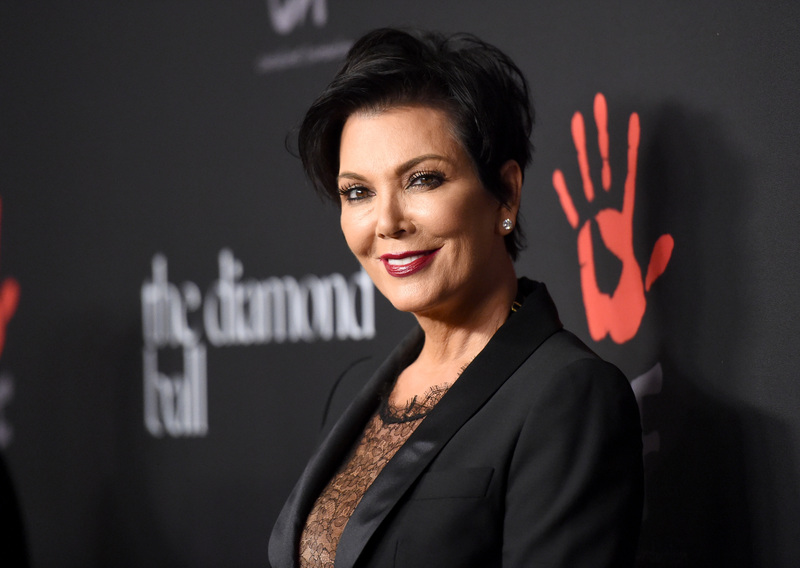 Now, a new clip from Keeping Up With The Kardashians shows Kris addressing Bruce's recent reveal, and it's a particularly vulnerable moment even from a woman whom has most of her life play out for the cameras. The scene, which will air on Keeping Up With The Kardashians, shows Kris' daughter Kim Kardashian speaking to her mother about Bruce. Kardashian explains to her mother how she believes Bruce must feel about his gender: "He has to deal with this his entire life, of waking up and feeling like, 'Whoa, this isn't my body.' This doesn't feel comfortable. That's the only way I can kind of imagine it." Kris, who is crying in the clip, states: "I have these memories of this life and I feel sometimes like it didn't exist." Kris' interpretation isn't rare or unusual. In Bruce's Diane Sawyer special, many of his guests echoed such statements — if Bruce never felt like a man, then did the experiences they shared with him as one really mean what they believe it did? For Kris, Bruce's former wife and intimate partner, I can imagine that the news is particularly challenging to digest. It's important to note that just because Kris appears sad or upset in the clip doesn't mean that she does not support Bruce's transition. All reports indicate that the family is behind Bruce in his journey, but as Bruce himself knows, it's not an easy one to take. Bruce made a brave decision in coming out, and hopefully in time his entire family can grow to understand him in this new way. The Keeping Up With The Kardashians two-part special About Bruce will air on May 17 and 18 at 9PM on E!